As I sit here writing this post, I know how cliche it seems, but when I am preparing for a trip, I find posts like this to be the most helpful source of information and I hope this post can help those of you planning to visit Amsterdam! 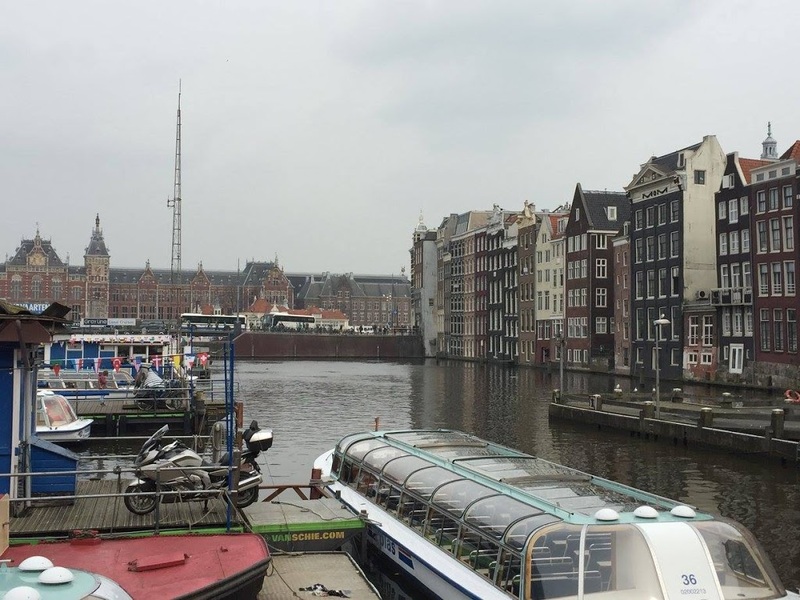 I have been to Amsterdam twice, but the first time was on a short overnight layover and I didn’t get to explore much. On my second trip, I budgeted a full 3 days for seeing the city on top of travel days and I am so glad I did! Because of how I timed my stay, I had plenty of time for nearly everything I wanted to see, without having to feel rushed and I really fell in love with the city. From great museums to picturesque canals, Amsterdam should definitely be on your list of must-see cities! So whether you are visiting next week or next year, check out the 10 things I think are absolute can’t miss items on any Amsterdam itinerary. I joked with my friend as we were planning our recent trip that I have two loves that both start with the letter R: one is Ronaldo, the world’s best soccer player(HALA MADRID) and the other is Rembrandt. 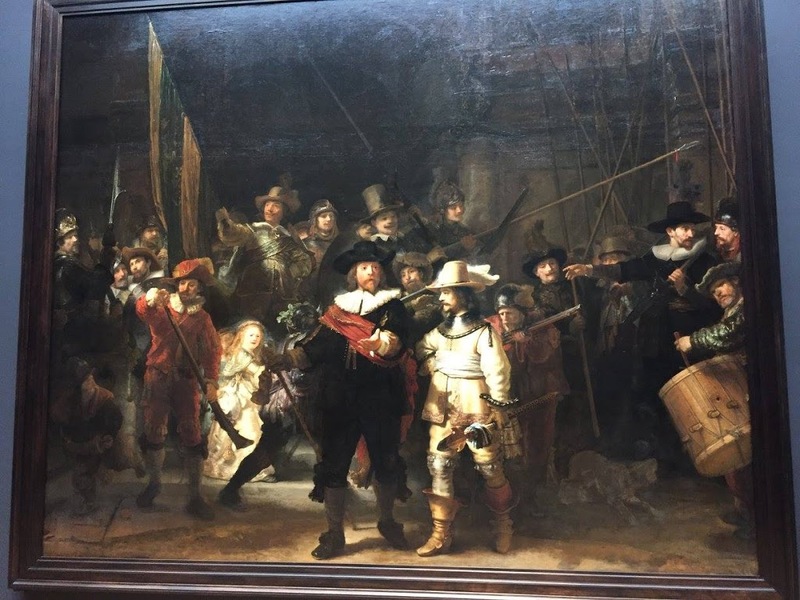 Now it may seem odd for my two loves to be a modern day footballer and a 17th century Dutch painter, but alas, my excitement was through the roof when we confirmed our flights to Amsterdam and I knew for sure that I would be visiting the Rijksmuseum and seeing one of Rembrandt’s most famous works, The Night Watch. It’s crowded and touristy, but it is really cool to see how big it actually is in person. 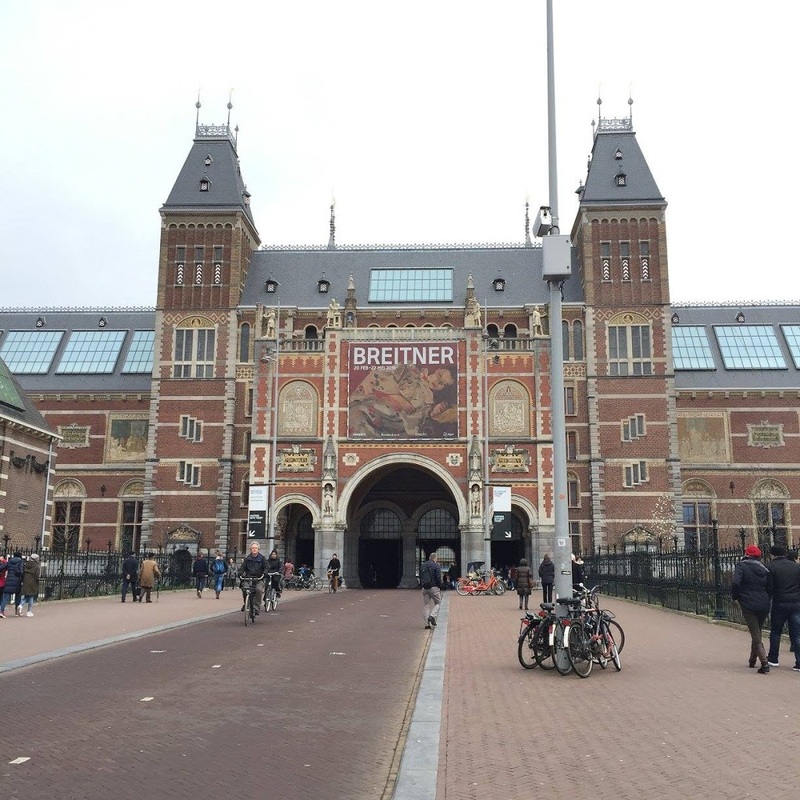 It’s right on museumplein so if you are planning to visit any of the main museums, you will be there already and can take five minutes to get you insta photo and then go on with your adventure. I did not attempt to climb atop the letters as I am a grade A klutz but if you are more adventurous and agile than I am, it looks like a fun challenge to undertake. Having already seen Van Gogh’s “Starry Night” at the Musee d’Orsay in Paris, I was really excited to visit this museum and see more of Van Gogh’s works. The one piece that absolutely blew me away was Van Gogh’s “Almond Blossom” because I have seen so many recreations of it that I wanted to see the original, and it did not disappoint. The museum is home to more than just Van Gogh’s works as well. It features the works of his friends and contemporaries as well as feature exhibitions. When I visited, the temporary exhibition was on prostitution in art and it was fascinating(and weirdly relevant to my academic research at the time). If you are an art lover, you CANNOT miss this museum. Unfortunately, I only have a picture of the outside because you can’t take photos in the museum itself. Now back in the US, if I was offered a Heineken, I would ask if there was other beer available, but I had heard from a friend that it tastes completely different at the source and SHE WAS RIGHT. 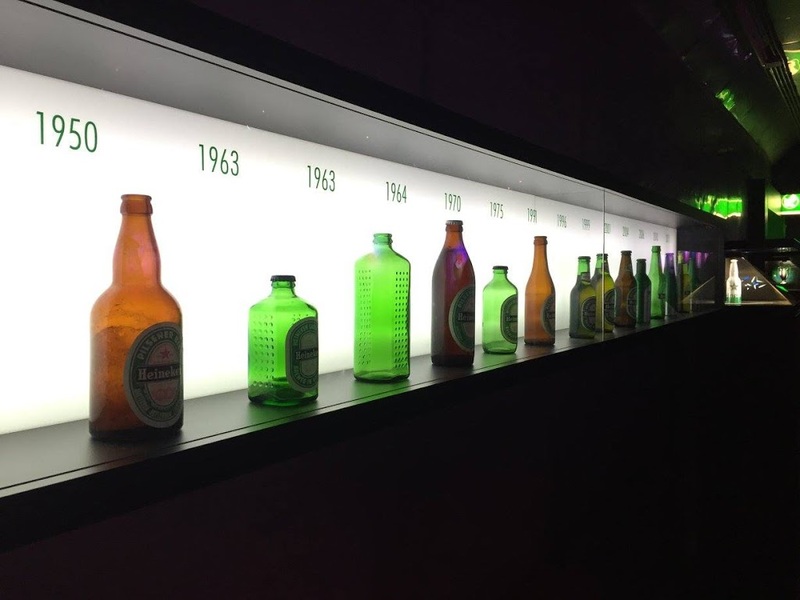 The Heineken experience takes you through the history of Heineken and the process of making it and on the way you get to enjoy a few glasses of beer. Now this experience is a bit pricey so for those on a budget you may choose to skip it, but if money isn’t an issue for you, I definitely recommend stopping in. 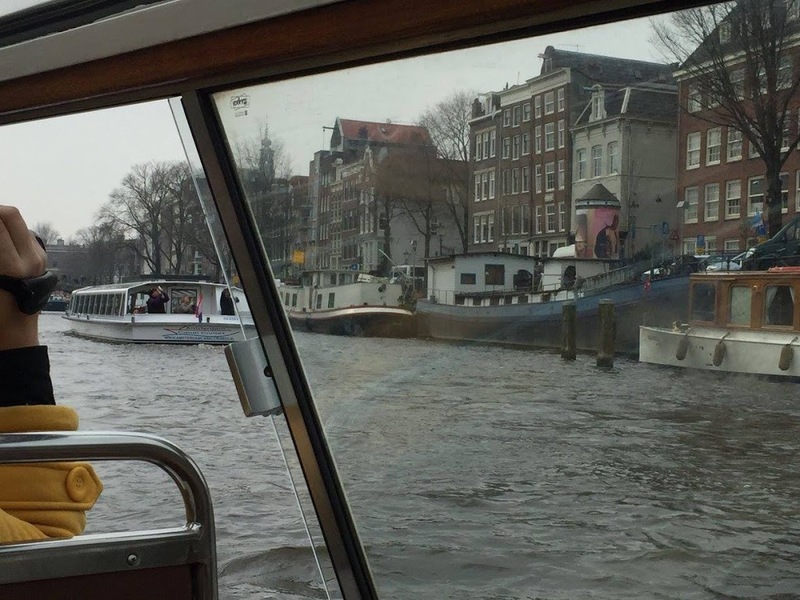 Many people will write this off as being too touristy, but the most fun I had in Amsterdam was on the canal tour that my friend and I went on. Our tour guide was very knowledgeable about the city and also absolutely hilarious. The best part was that it was a relaxing way to see a different side of Amsterdam without having to do a lot of walking, so it’s a nice way to spend the afternoon if your morning was full of walking. We learned about the history of the city, say the Anne Frank House from the canals and just had an overall enjoyable afternoon on the canals. 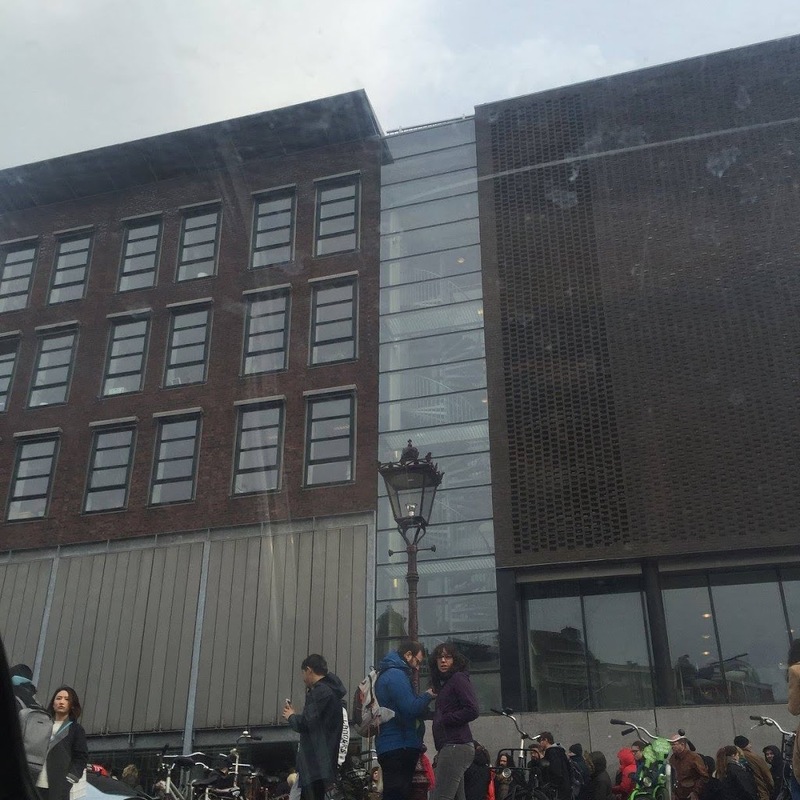 Now if you are looking for a happy, fun place to learn about Amsterdam, this is not the place for you, but if you are a history lover and okay with potentially crying in public, the Anne Frank House is worth the wait to get in and visit. 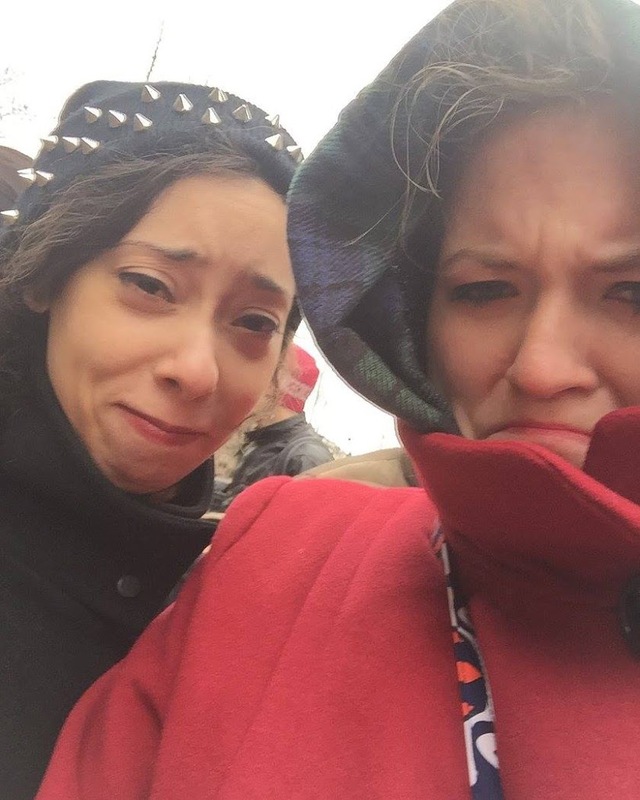 When I went, my friend and I waited three hours in the freezing weather and rain to get in, and I would do it again in a heartbeat, but with a warmer coat. This house is where the Annex that Anne Frank and her family hid after the Nazis took over the Netherlands. It is also place she was living when she wrote her famous diary. A few things to keep in mind: there are a lot of stairs so it is not the most accessible attraction, if you don’t book tickets ahead of time prepare for wait a good amount of time to get in, and potentially not make it inside due to the limited number of visitors they can accommodate, and lastly keep in mind that you need to be respectful of the content of the museum and the solemn nature of the subject. 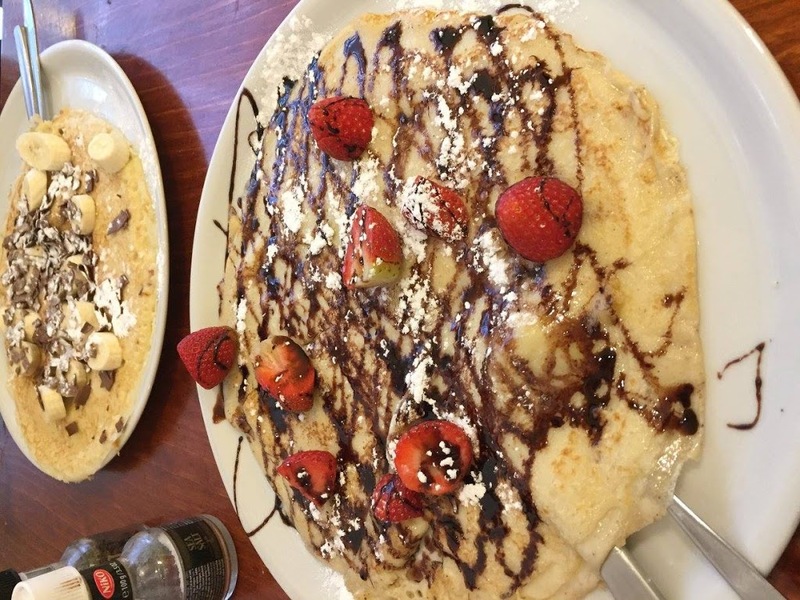 Let me tell you about my love for Dutch pancakes(which are definitely more like crepes, but still). I LOVE them. My favorite is Nutella and Strawberries. They are amazing and delicious and everything I want from a sweet snack. Waffles are also great and I tend towards anything involving chocolate as a topping. You can find them all over the city and they are rather inexpensive so they are a good option for a snack on the go. Now this is something I was not lucky enough to do, but a good friend of mine did and she told me that it is very elegant and upscale and that the hotel itself is a destination for its stunning architecture and decoration. 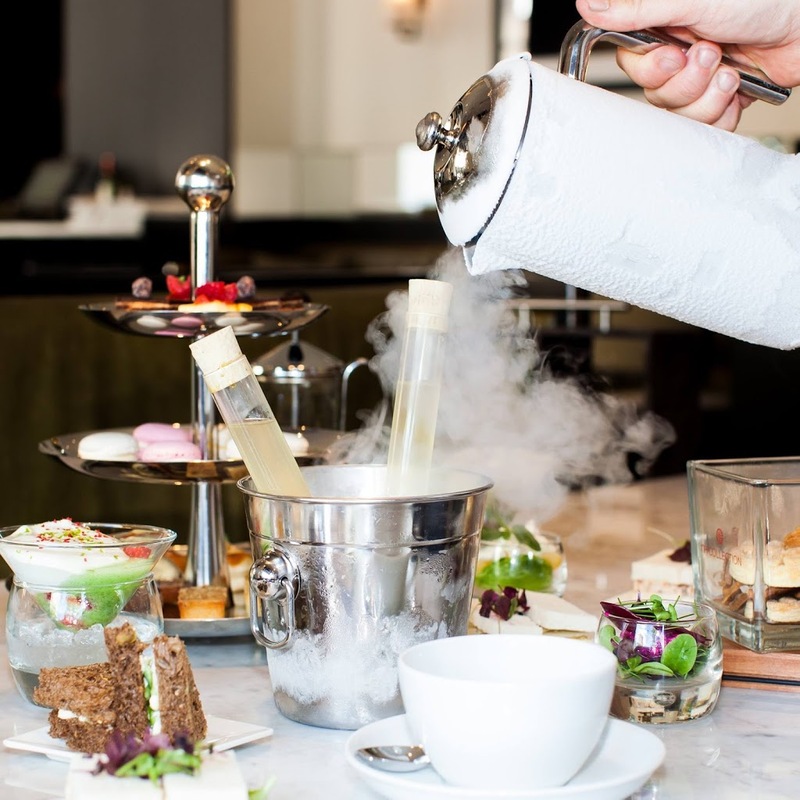 As for the tea service, it is the epitome of a turn of the century tea service where the bring out a whole box of tea for you to choose from. It features proper scones, hors d’oevres, mini sandwiches and cake from their amazing cake room. This is at the top of my list for the next time I’m in Amsterdam! 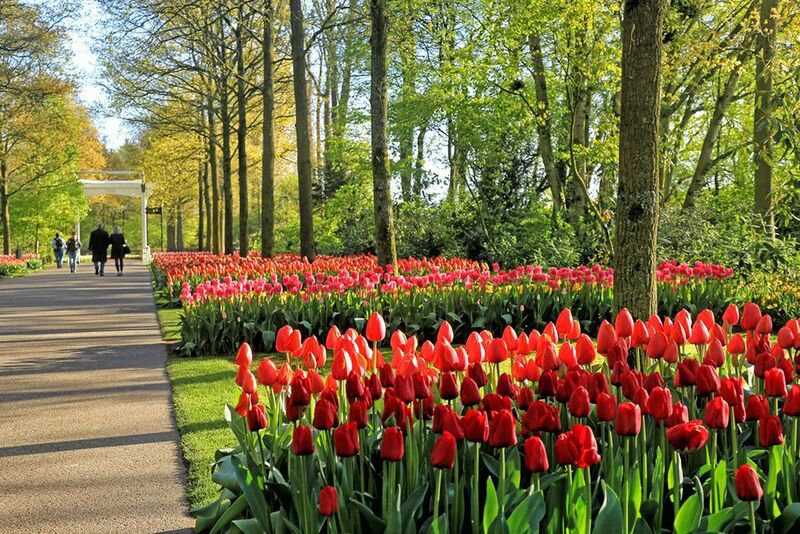 Whether you choose to wander the tulip market in the city and see all the varieties of bulbs you can buy to grow your own tulips or make the trek out of the city to the tulip fields, Tulips are a trademark of the Netherlands and are also beautiful. Take some time to stop and smell the Tulips! There also tons of great day trips from Amsterdam too so be sure to check out those options too if you are in Amsterdam a bit longer! 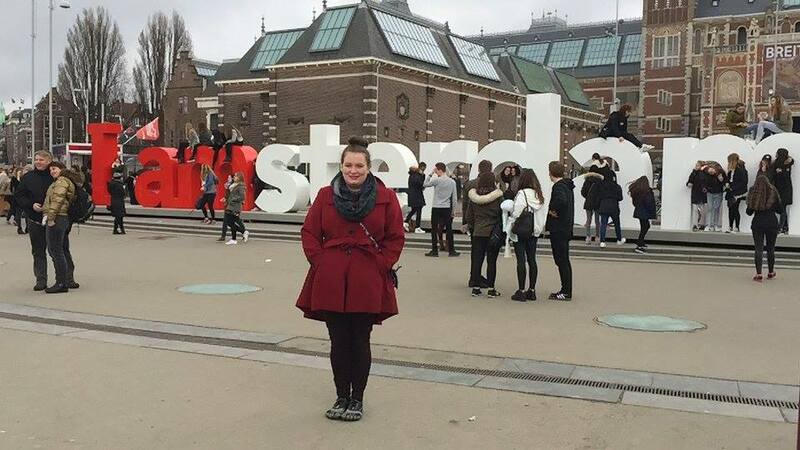 Writing this has made me want to go back to Amsterdam again, so I hope it can give you all some inspiration! From one misguided millennial to the world, this has been my list of can’t miss sites in Amsterdam. I’ve been wanting to go to Amsterdam for what seems like forever!! This is such a great guide for whenever I do decide to make the trip happen. Thank you. Saving this. Love this roundup, so thorough and definitely has me wanderlusting! I would be all over the pancakes! 😍 I love pancakes so much! Thank you for the Amsterdam roundup! Looking forward to a four day trip there in late October. (10/22/18)Great ideas and photos. Would love to know more about weather we might expect that time of year. Is it fall or already winter? Yes, I know that it could be rainy but will they already have had a killing frost? Fall leaves ? Any flowers left? I usually dress in slacks. Should I have a dress? Boots?